Data on climate conditions of the past are vital for understanding present-day events triggered by climate change. This session looked at the two different fields, dendrochronology and landslide occurrence, on the common ground that they rely on such findings in order to shed light on factors contributing to adverse effects of climate change and to enable them to make predictions for the future. Micro-sampling, mostly taken by using trephor, is a dendrochronogical method for gaining more precise data on growth patterns of trees in different climatic regions with a view to internal and external factors of tree growth. Samples are taken on a weekly basis, thus providing a growth calendar, which allows much more detailed observations. Generally, the relationship between sprout and cambrium activity depends on the species. When there is a drought cambrium activity is delayed with most species. 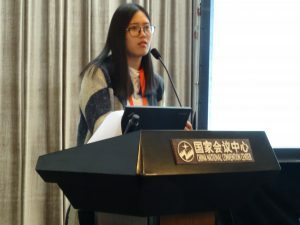 With one pinus tree species growing in the subtropical monsoon climate, however, it has been observed that rapid growth takes place during the dry season and not during the wet season as one might have expected. A possible reason is that photosynthesis can take place at an increased level providing the necessary energy. Landslides have always been common in mountainous regions, among other geomorphical hazards, including debris flows and mud flows. Historical gaps need to be filled for finding the factors contributing to the event of landslides. 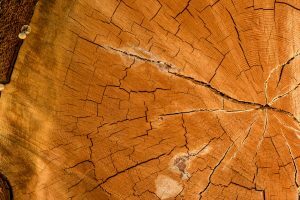 For this end tree ring records coupled with meteorological data were looked at. In most countries of the European Alps a rise in landslide activity could be registered since 1960, partly even since 1850, a phenomenon which can be observed to an increasing degree over the last twenty years. Yet, the cause triggering the landslides appears to have changed: While before 1990 these were mainly due to heavy snow cover and earlier spring snowmelt, since 1990 they can be mainly attributed to the rise in the mean spring temperature of 1°C that the European Alps have been experiencing since the beginning of the 20th century. The same records drawn on for filling the gaps in history have been further used to forecast landslide activity under a late-21st century moderate warming scenario, arriving at the conclusion that also in the future snow-rich winters in combination with temperature anomalies in spring will be the main drivers of landslide occurrences.